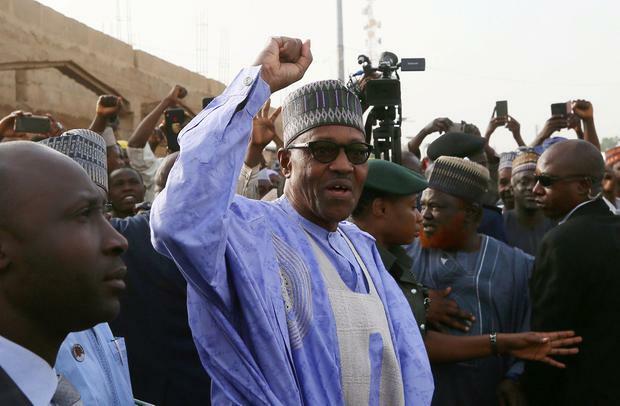 Nigeria's incumbent President Muhammadu Buhari extended his early election lead yesterday based on official results from a third of the country's districts as the death toll from sporadic poll-related violence rose to 47. Provisional results announced in state capitals, but not yet confirmed by the election commission, showed Mr Buhari on course to taking a commanding lead over his main rival, businessman and former vice president Atiku Abubakar. Mr Abubakar's party has rejected the tallies thus far as "incorrect and unacceptable". Mr Buhari's party said the opposition was trying to discredit the returns from Saturday's election. Observers from the Economic Community of West African States, the African Union and the United Nations appealed to parties to wait for the results, expected later this week, before filing complaints. Voting took place on Saturday after a week-long delay which the election commission said was due to logistical problems. But the event - Africa's largest democratic exercise - has been marred by violence in which 47 people have been killed since Saturday, according to the Situation Room, a monitoring organisation linking various civic groups. Some of the deaths came about after gangs allied to either of the leading parties clashed with each other and police over the theft of ballot boxes and vote fraud. Police have not yet provided casualty figures. More than 260 people have been killed in total since the start of the campaign in October. The toll is lower than in previous elections but in the past, the worst unrest broke out after results were announced. Nigeria is Africa's top oil producer and biggest economy but it is struggling to emerge from a 2016 recession and corruption is rife.